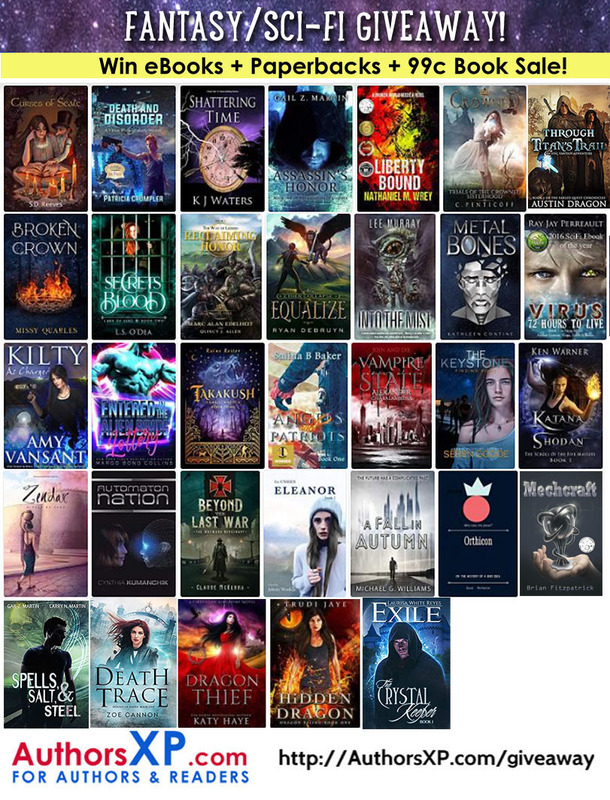 Epic fantasy series – 2nd edition brand new covers! My epic fantasy series ‘The Light and Shadow Chronicles’ has undergone a makeover! In a world ravaged by war, the paths of two warriors are about to cross with world-shattering consequences. Chaos is a soldier of The Children of the Light, and fights in the name of destiny, honor and glory. Arrogant and headstrong, he believes he is the strongest warrior in the land, until a fateful coincidence puts him at the mercy of the demon Anathema. Hi, everyone! Welcome to the sixth day of my virtual book tour. I’m very grateful to all of you who have been visiting the stops and also thankful to the wonderful hosts for welcoming me to their blogs. Gadreel is a popular character from the first book in my Fantasy Angels Series, The Fall of Lilith. She is also a supporting character in Son of the Serpent. In Floraison, Gadreel wrote poems and added music to the lyrics creating songs. Today, I’d like to showcase Gadreel by sharing a couple of short excerpts from The Fall of Lilith and one of her songs. “Have you ceased to believe in our cause?” Satan raised his eyebrows. Gadreel rose to her feet and moved about, inspecting her fingernails. “I––I thought I would stay behind with the little prince.” She shifted her weight to the balls of her feet. “Very well, but be certain this time he remains in the cave,” Satan said in a somber tone. “I shall take good care of him.” She scratched her nose and avoided his eyes. With a deep sigh, Satan hurried to join the others. As soon as he was gone, Gadreel planned her escape. “Dracul, you are an intelligent little being, thus, I shall not fret to leave you on your own.” She held on to his shoulders. “Why must you leave me?” Dracul’s eyes were large and doleful. When his words of promise reached her ears, she took flight. She flew at full speed toward the beach where she last saw Dagon and her little mermaids. Dracul followed her with his eyes until he could no longer see her. He lowered his head and sniffed, holding back tears. When the others returned, they found him alone entertaining himself with a bat pup he found hanging upside down in the cave. “Where is Gadreel?” Lilith scowled as she looked about the cave. “What do you mean, she fled?” Lilith’s face flushed a raging red. “She said she needed to find her little ones––like me.” Dracul looked as innocent as a daisy. His pet bat now hung from one of his horns and he giggled. “And you allowed her to leave?” Lilith yelled, making him jump. Gadreel flew in darkness and in light, only stopping to eat and rest. She did not fear Lilith’s certain retaliation for her desertion. Her mind was focused: she wished to reunite with her little mermaids. She was liberated, no longer dominated by Lilith, whose only thought was to seek revenge on God. After some time, she arrived at the beach where Fornues was laid to rest, and where she last saw Dagon and her daughters. She tiptoed to the edge of the water and stared to sea. The azure, never-ending ocean was calm and untroubled. It sparkled under the sun, but she saw no sign of Dagon or her children. I’m blinded by what they surmise. Is their descent, is their descent. As in a daze, as in a daze. Emptiness is all fills my core. My soul burns with hunger once more. Come to the shore! Come to the shore! Lest their dulcet gaze meet my face. Singing their praise! Singing their praise! Oh, bring back my mermaids, love-charm! Until my last breath suffers harm! Cold rocks, no warmth! Cold rocks, no warmth! Both books in my Fantasy Angels Series are on sale for 99¢! Take advantage of this limited offer! Vashti Quiroz-Vega is a writer of Fantasy, Horror, and Thriller. Since she was a kid she’s always had a passion for writing and telling stories. It has always been easier for her to express her thoughts on paper. She enjoys reading almost as much as she loves to write. Some of her favorite authors are Stephen King, Michael Crichton, Anne Rice, J.R.R. Tolkien, J.K. Rowling and George R. R. Martin. She enjoys making people feel an array of emotions with her writing. She likes her audience to laugh one moment, cry the next and clench their jaws after that. When she isn’t building extraordinary worlds and fleshing out fascinating characters, she enjoys spending time with her husband JC and her Pomeranian Scribbles who is also her writing buddy. read, “SON OF THE SERPENT.” To follow along with her tour, please visit the CURRENT EVENTS page of the 4WillsPub site. To book your own virtual 4WillsPub blog tour, please visit us HERE! Epic fantasy novel may get its own soundtrack! Why are the Light and Shadow Chronicles unique? My immersive fantasy novels A Chronicle of Chaos and The Shield of Soren are part of a dark, epic series called The Light and Shadow Chronicles. This series features warriors, epic battles, angels, demons, magic and people with incredible powers. Today, A.M. Manay is talking about her young adult high fantasy novel Hexborn. Inspiration can come from many places. In the case of Hexborn, my fantasy novel currently up for nominations on Kindle Scout, one of my sources of inspiration was the Reformation. Take a look. Gasps filled the village Temple as Brother Edmun began reading the king’s declaration regarding his takeover of the Church of Bryn. He stopped and glared at them over the top of the paper until they quieted, then continued. Shiloh, sitting on the front bench, could feel eyes upon her back when he got to the section about the cleanliness laws. Her Da patted her arm and gave her a grin and a wink, and she relaxed. The Black River Chronicles is a series of the tales that follows the exploits of The Aberddu Guild of Adventurers – a rag-gag collection of mercenaries, thieves, priests and misguided hero-types that seem to wonder into the path of fate with worrying frequency. It’s an odd life as an adventurer, particularly when you joined up for fame and fortune but find yourself up to your knees in the middens of history. In the first three stories, the adventurers take on ancient evils, wicked demon-worshippers and a maniacal God in the full knowledge that unless they rob someone on the way home they won’t get paid. Some of them will live, some will die and some will last forever. Join the adventure and follow the Black River to see where it leads. LG Surgeson is a writer and teacher who lives in a cottage by a river in a little Welsh village with her long-suffering partner and their two cats. She writes novels and articles in the spare time she creates by avoiding the housework and pretending to be a hermit. She likes to write fantasy adventure stories and quasi-autobiographical tales about teaching, which are equally fantastical and no less adventurous but have fewer elves. She also writes articles and blog posts about subjects close to her heart, normally education and mental health. When she’s not writing, she likes to poke about in her garden, pretending to grow things and disturbing the fairies. Her cats like to help. They aren’t good at it.